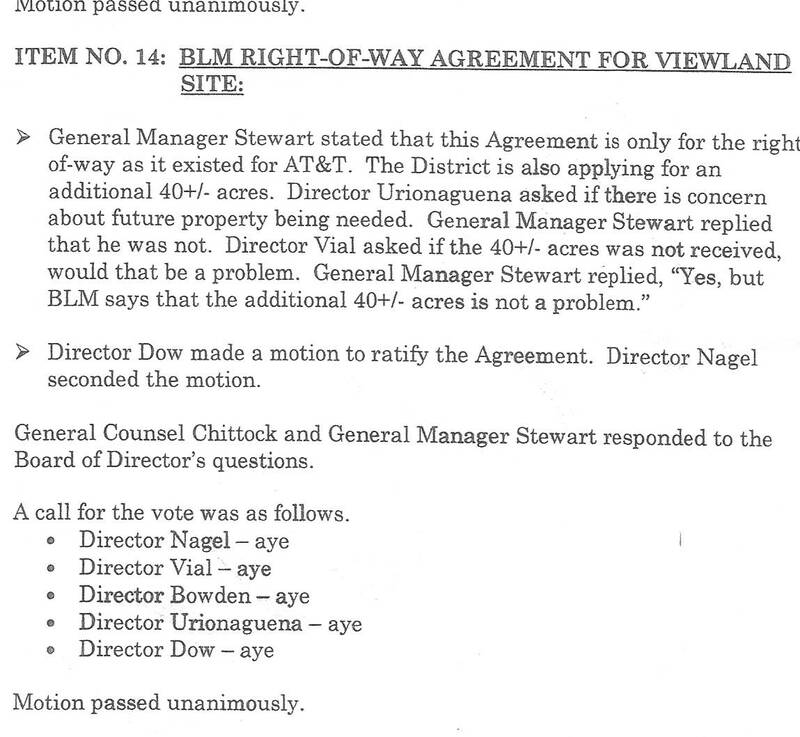 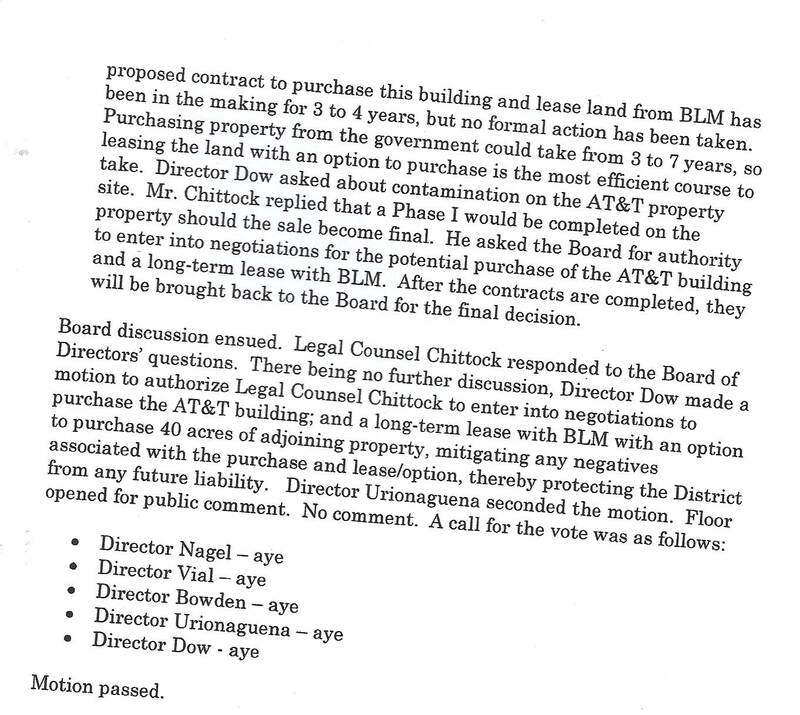 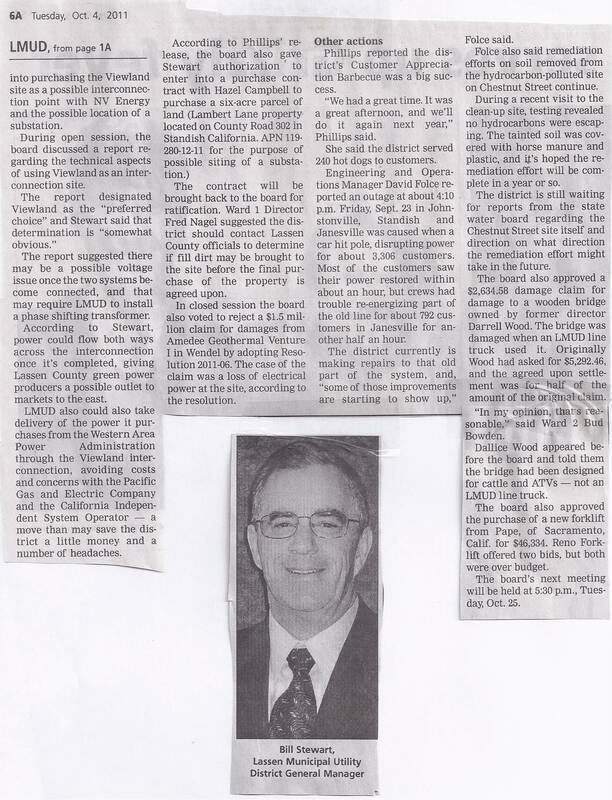 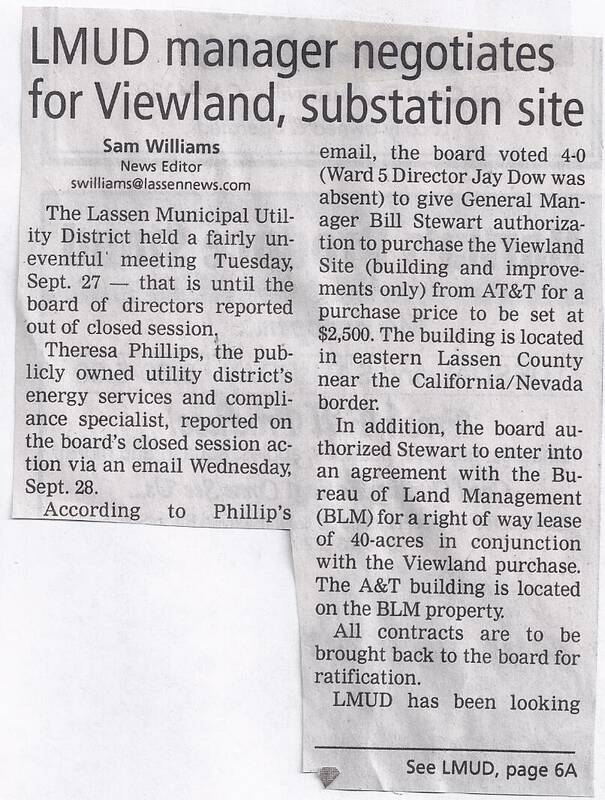 LMUD's Bookkeeper wants to lease more BLM property for the proposed Viewland substation that LMUD does not need? 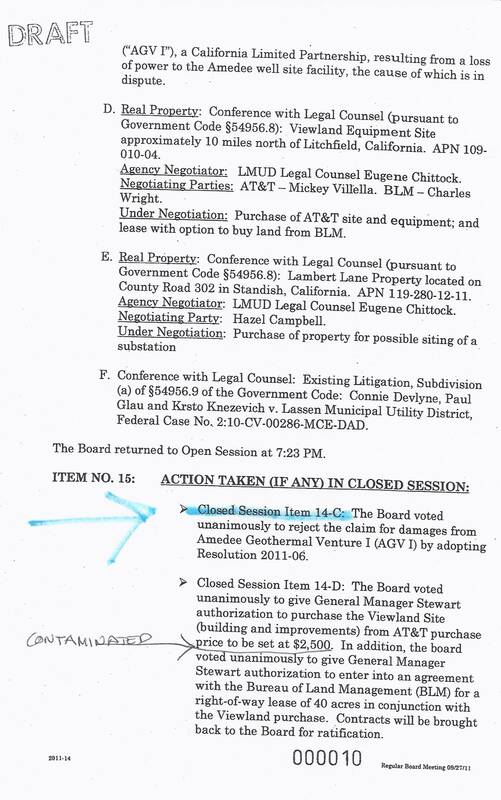 Kan We Help filed a Brown Act with LMUD stating that any discussions about purchasing real estate must be discussed in Open Session first. 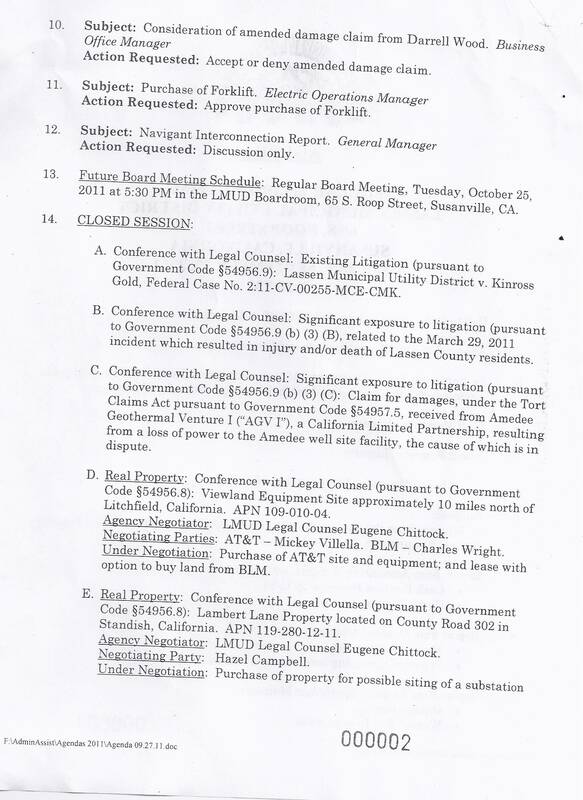 This is the first time the public has had any information on these negotiations that have been on LMUD's closed session agendas for four years.